In the event of a zombie outbreak, will you survive? A list of “facts” about zombies states your physical fitness “will have a significant influence” on your odds. You’ll also need ample supplies – up to three months of food and water, a gas-powered generator, fuel, as well as weapons and training. But, for those who haven’t done proper planning or kept up with exercise, if you live in Australia, Canada, or the U.S., you still have a chance. That’s because these countries, in that order, have the best combination of location, topography, armed populace, population density, and military preparedness to rise above the walking dead. It’s these facts that may have offered solace to the residents and visitors of New York City the first weekend of October. It was there that AMC Networks unleashed street teams in the city’s most trafficked areas. These included Times Square, the Empire State Building, and Grand Central Terminal. But, the street teams weren’t your average brand ambassadors. They were zombies. And, their timing couldn’t have been more perfect. Season nine of AMC’s hit show “The Walking Dead” was set to premiere that weekend. And, New York Comic Con had just kicked off, too. But, for passersby unaware of these tidbits, and even those aware, the guerrilla marketing initiative was sure to have made an impression. So much so, we rank the experience among the top brand activations of 2018’s Comic Con events. From San Diego to NYC, the competition was steep as event marketers and agencies sought to grab a piece of the action. In fact, of New York Comic Con, one vendor tells Business Insider the event is “one of his favorites” because of the diverse people it attracts. This gives brands of all types a big reason to get involved. But, for the varied crowds, the biggest reason is the experience these conventions provide. This is true for any event, as Heineken USA’s VP marketing for portfolio brands explains. 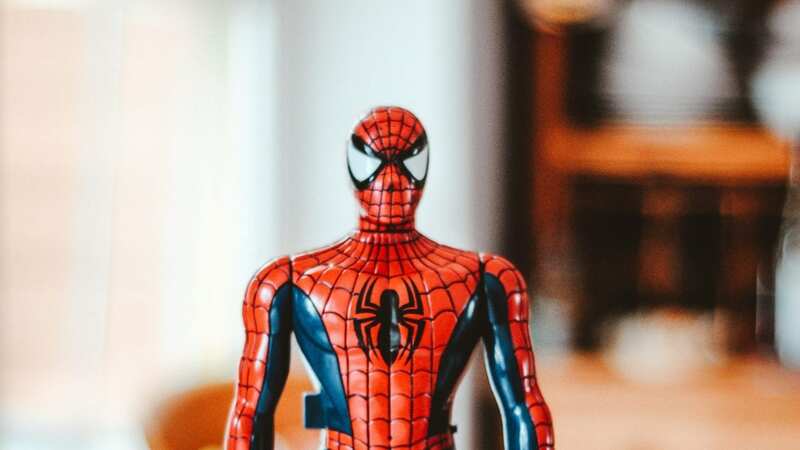 “We can tap into experiences that consumers are having, and show we stand for something that is emotional and create a reaction of happiness.” And, consumers are in for an experience at Comic Con, where they not only get to dress as their favorite superhero or character. They may get to meet them, too, or, at least, see them from afar. So, in adding to this experience, brands make themselves an integral part of the community. The struggle is that hundreds of event marketers and agencies have discovered the benefits of Comic Con. It’s why they aim to be among the top brand activations at Comic Con events or any event that provides such an experience to draw a rich target audience. As mentioned, the top brand activations at large-scale events build on an experience and give a intimate look at the brand, soliciting a reaction and bringing happiness. See why these brands shone bright at Comic-Con International: San Diego and New York Comic Con. With a few weeks to the season four premiere of its hit drama Outlander, TV network Starz recreated its set at New York Comic Con. There, visitors stepped into an authentic remake of the main characters’ cabin, no detail spared. It was said to seem like a “world away from the hectic hustle and bustle” of the convention, giving people a quiet, yet immersive retreat. They could peruse props symbolic of the 1740’s, when the show is set. They also walked away with amazing souvenirs. These included a custom leather luggage tag and a specially-made fragrance. The bottle was the attendees’ choice and produced by a company founded within the same era. Specialists were on-site to share how these items were crafted, which made the items memorable and added to the experience. If you saw the 1993 movieDemolition Man, you know, as BizBash tells, “Taco Bell is the sole survivor of the ‘franchise wars’.” So, the fast food brand took the opportunity the movie’s 25-year anniversary brought to San Diego’s Comic-Con event. Its team constructed what the Taco Bell of the year 2032 might look like. The pop-up shop included “a pianist playing classical music, a gift shop, and a fancy four-course meal – all contrary to what one knows of the late-night eatery. And, while the exclusive activation only allowed 1,500 people to take part, it didn’t stop 10,000 from waiting in line for the chance. This success made it not only one of Comic Con’s top brand activations, but one for the brand itself for 2018. From its Caffé Monster Pop-Up at Comic Con New York, Java Monster, a Monster Energy brand, offered visitors both fun and relaxation. They may have chosen to start with product samples of the brand’s new ready-to-drink coffee, Caffé Monster. Next, attendees could visit Super Smash Bros. video games, even challenging MMA start Quinton “Rampage” Jackson to a match. Or, they may have watched a demo of the comic book creative process or one of an action hero costume being designed. After they’ve taken pictures and videos of these experiences, they could recharge their devices before hitting the expo floor for more fun. The magic of the Harry Potter series will long live on in the hearts and minds of its fans. So, to help them celebrate its 20th anniversary, Audible worked with Pottermore Publishing to bring a memorable experience to New York Comic Con – the Pensieve Experience. For those not familiar with the books, the Pensieve let Harry watch other people’s memories as if they were his memories, too. Comic Con attendees got to do the same when they chose a memory vial of one of six Harry Potter characters. They then inserted the vial to hear and relive that scene from their beloved series, all while standing in a dreamlike setting. To top it all off, they got to make an enchanted video to share with their friends. Buffy the Vampire Slayer may or may not be coming back to TV as a reboot. But, one thing is for certain, fans of the old show and potential fans of the new had some fun on the streets of San Diego during Comic Con. After signing up via Fox’s website, participants received maps and clues to lead them to vampire nests within the city. Upon finding and “slaying” the vampires, they also found prizes, ranging from posters, wearables, comics, and more. The best part about this activation is that it extended beyond Comic Con attendees to anyone in the San Diego area, which also extended the activation’s reach. But, Comic Con attendees did have an advantage since some of the clues led to booths within the expo hall, maintaining a focus on the community. At Elevate, we supply the people event marketers and agencies need to land among the top brand activations of Comic Con events and beyond.